This scheme involved working with two clients in adjacent properties to produce a coherent solution to both of their needs. 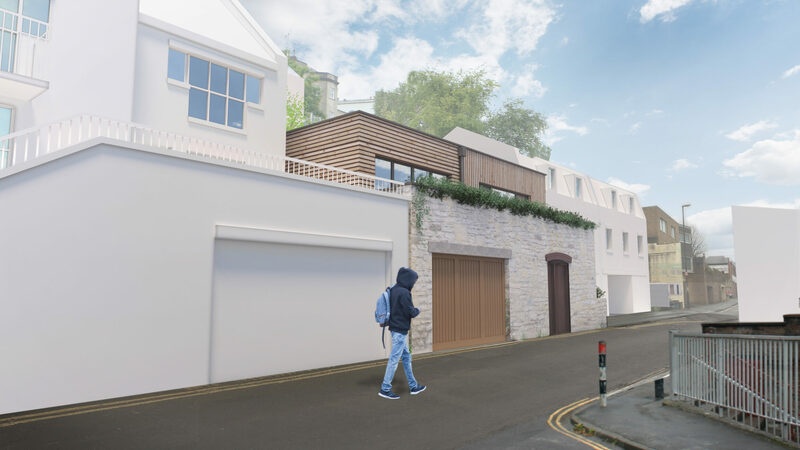 The project will deliver a single garage at ground floor level with guest accommodation above on land to rear of 19 Somerset Street and a home office above a store, in the rear garden of 20 Somerset Street. Two neighbours within the Kingsdown Conservation Area worked together to submit planning applications to develop the land to the rear of their houses. 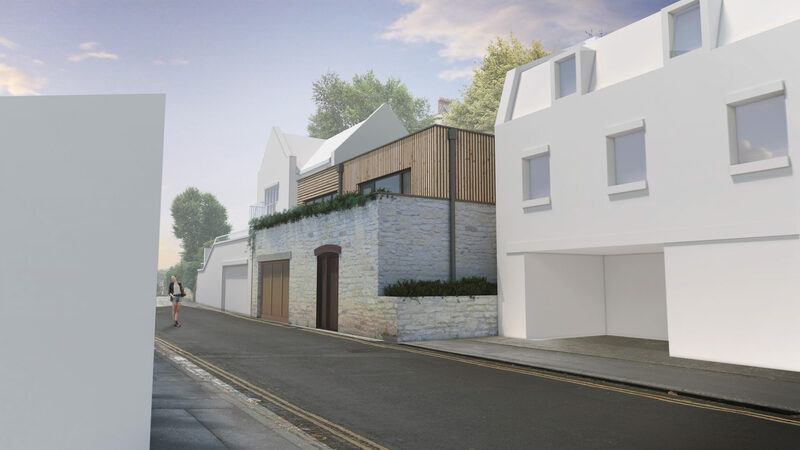 The collaborative approach of combining the pre-application discussions and revised planning applications of these two sites, helped to create a cohesive infill development which contributes positively within the street scene and the wider area of Kingsdown. The proposals adopt a palette of materials sympathetic to the historic environment which have been selected for their sustainability characteristics and longevity. The proposals seek to continue the primary boundary wall material using Pennant stone to the ground floor with limestone or brick dressings fronting Dove Street. 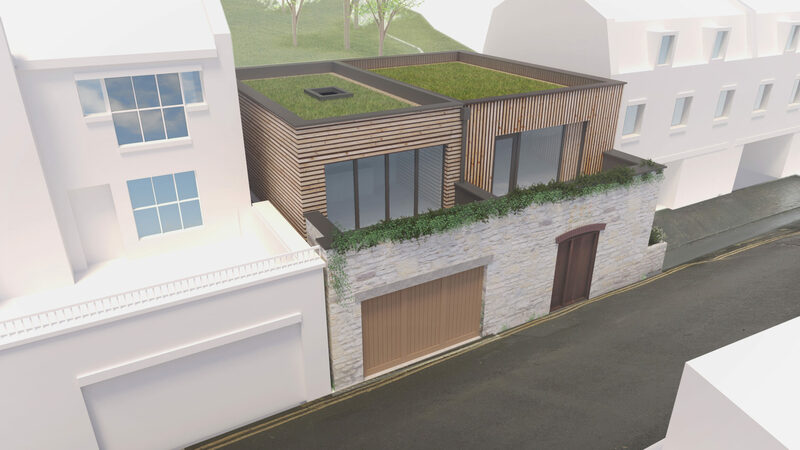 The proposals show timber cladding to the recessed first floor with a green roof and parapet detail. 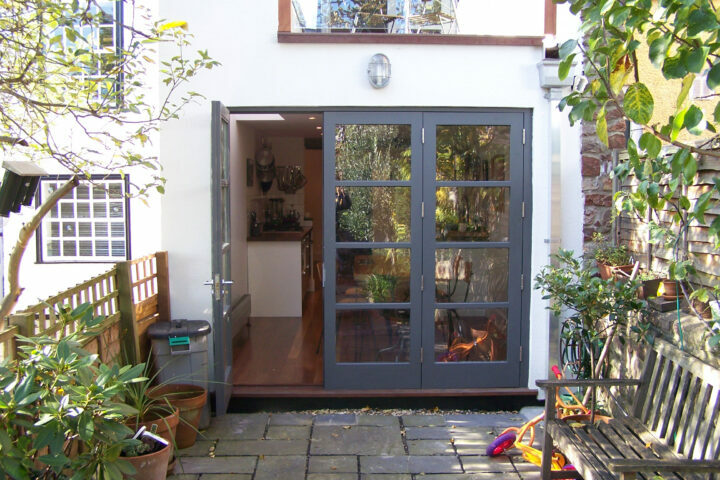 Both schemes propose timber joinery for the windows and doors with aluminium rainwater goods. Combining the pre application discussions and revised planning applications of these two piecemeal sites helped to create a cohesive infill which contributes positively within the street scene.